We will learn how to flash your Raspberry PI 3 Model B board with Windows 10 IoT Core. 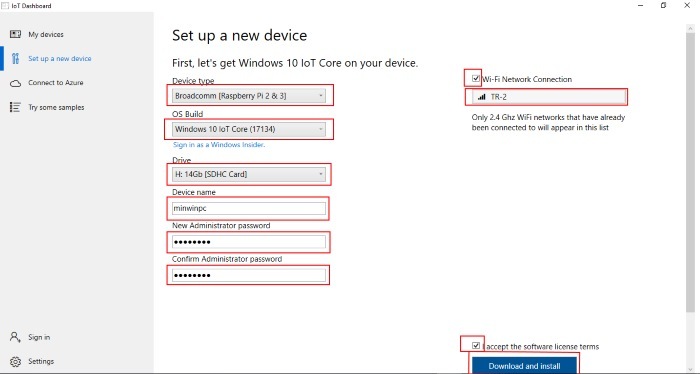 Windows IoT Core is a version of Windows 10 that is optimized for smaller devices with or without a display that run on both ARM and x86/x64 devices. 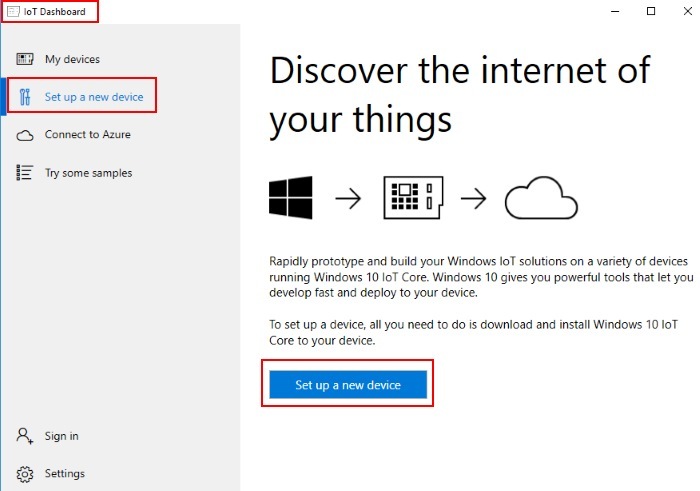 The Windows IoT Core documentation provides information on connecting, managing, updating, and securing your devices, and more. 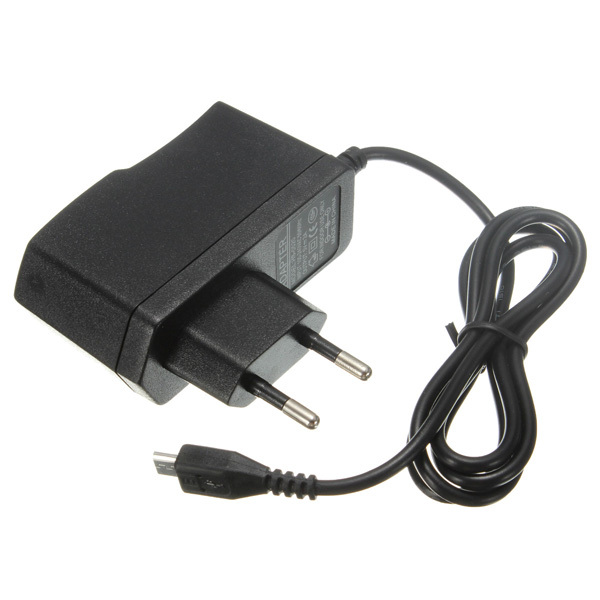 You must create your own images and not use the provided images below if you plan to commercialize your device. 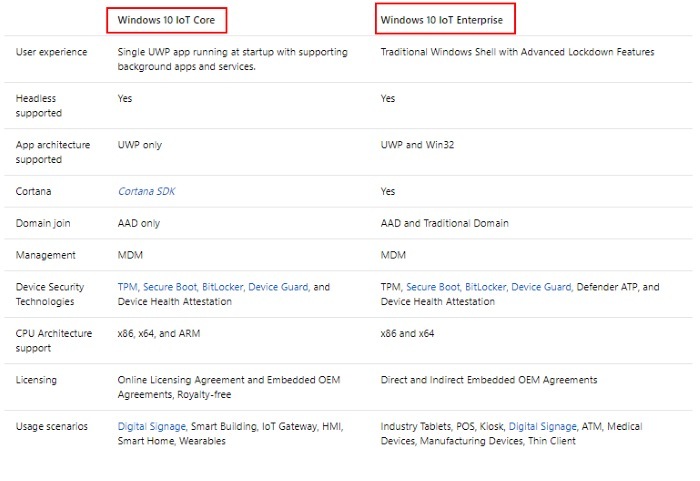 Download the Windows 10 IoT Core Dashboard here. Press Install button. 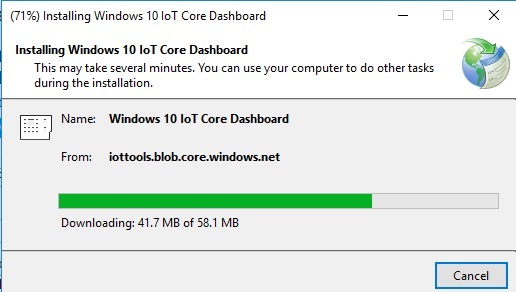 You will install Windows 10 IoT Core Dashboard. 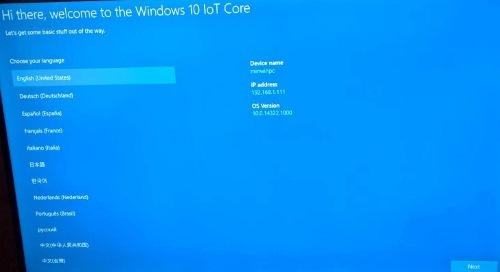 You will see Windows 10 IoT Core Dashboard after an installation. Press Set up a new device button and insert a SD card adapter with micro SD card into your computer SD card reader. Accept the software license terms and press Download and install button. You will see the pop up window that will tell you that all files on SD card will be erased. Press Continue button. 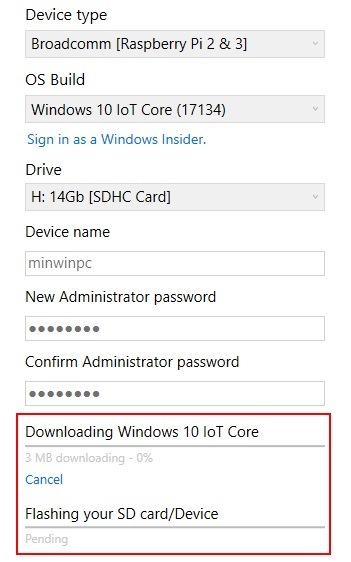 You'll see that Windows 10 IoT Core is downloading to your PC. It will download approx 762 MB and start to flash to your micro SD card. 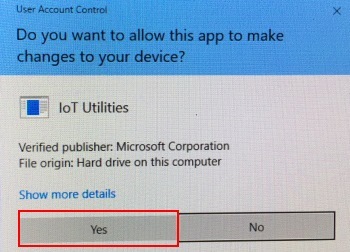 Press Yes button when asked. When your micro SD card will be ready you will see this page. Insert your micro SD card to Raspberry Pi 3 board. Find your device. Press My Devices button. Note: It will take a few minutes for you device to boot and appear in "My Devices". Prepare a SD card. The Raspberry Pi works with any compatible SD card. For installation of NOOBS the minimum recommended card size is 8GB. We suggest to use 16GB. If you're planning to use a card of 64GB or more with NOOBS, see this page first. The card class determines the sustained write speed for the card; a class 4 card will be able to write at 4MB/s, whereas a class 10 should be able to attain 10 MB/s. However, it should be noted that this does not mean a class 10 card will outperform a class 4 card for general usage, because often this write speed is achieved at the cost of read speed and increased seek times. The original Raspberry Pi Model A and Raspberry Pi Model B require full-size SD cards. 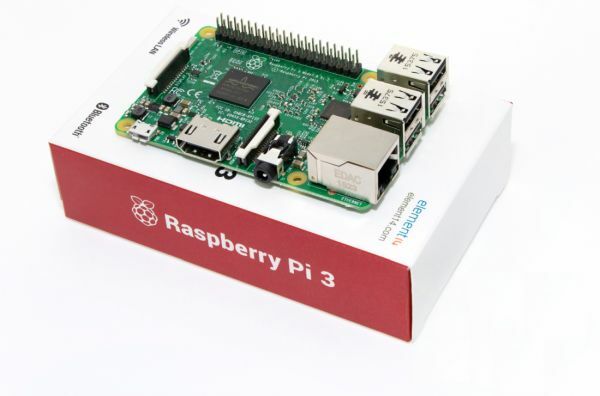 The newer Raspberry Pi Model A+, Raspberry Pi Model B+, Raspberry Pi 2 Model B, Raspberry Pi Zero, and Raspberry Pi 3 Model B require micro SD cards. Note: If your SD card has 64GB or more, it will automatically be formatted as exFAT, which is not compatible with NOOBS. Follow these instructions to force your SD card to format as FAT32 so that you can use NOOBS. Download NOOBS files. 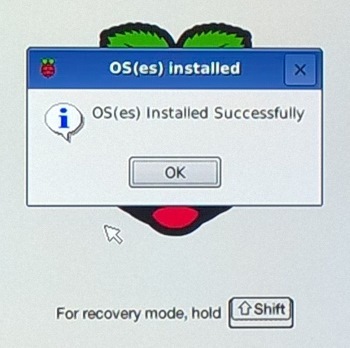 Visit the official Raspberry Pi Downloads page. 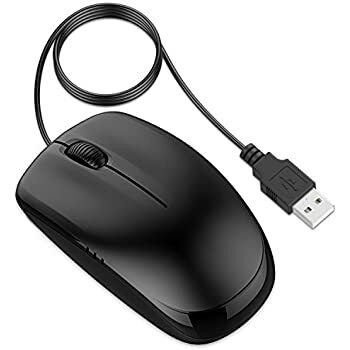 Click on NOOBS. Then click on the Download ZIP button under ‘NOOBS Lite’, and select a folder to save it to. Extract the files from the zip. Drag all the files in the extracted NOOBS folder and drop them onto the SD card drive. The necessary files will then be transferred to your SD card. When this process has finished, safely remove the SD card and insert it into your Raspberry Pi 3 board. Insert your micro SD card into the TF card slot on the Raspberry Pi 3 board. It will only fit one way. 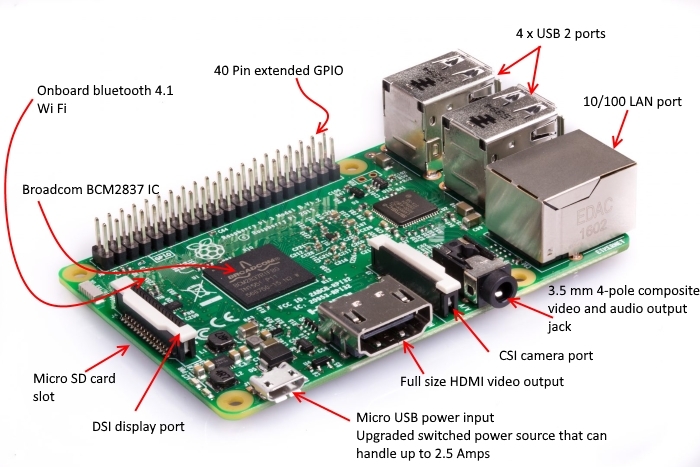 Connect Raspberry PI 3 board HDMI port to your TV or Monitor HDMI port (use HDMI cable). 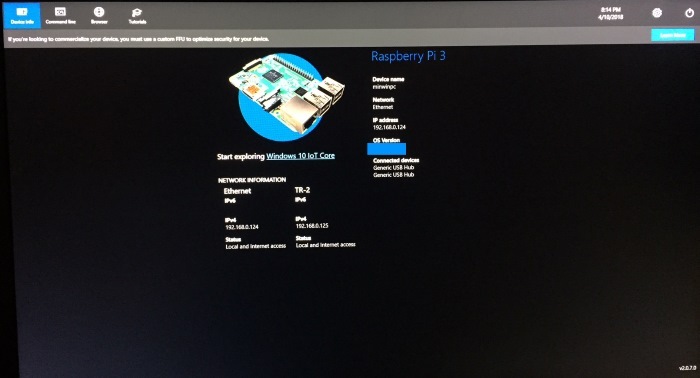 Connect your Raspberry Pi to the internet, plug an Ethernet cable into the Ethernet port, or connect a WiFi dongle to one of the USB ports (unless you have a Raspberry Pi 3 board). 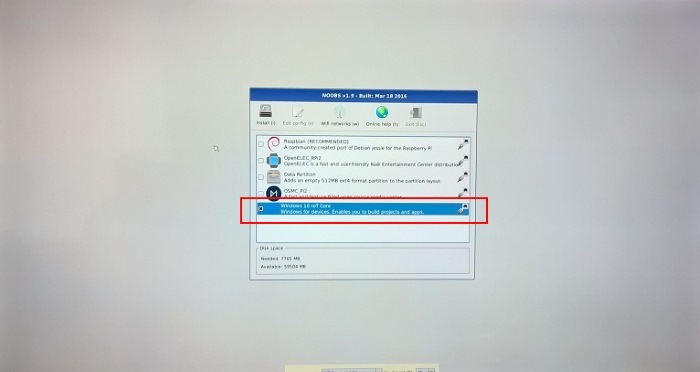 Once powered on, the display shows a screen with the Raspberry Pi logo, and a window saying that the micro SD card is being re-partitioned. After this, it will show you a window with the operating systems that you can download – Windows 10 is one of these systems. 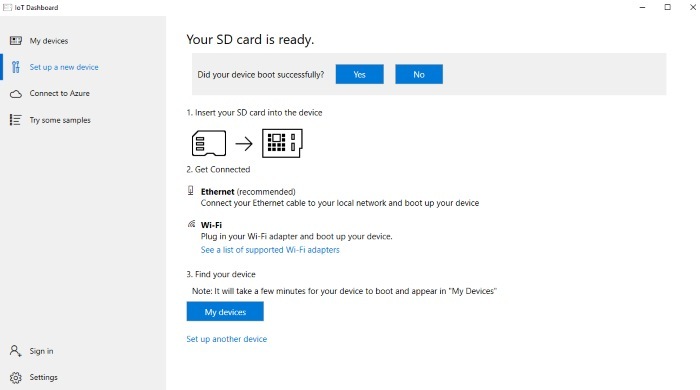 Select Windows 10, entered your WiFi details, and hit “i” to install. 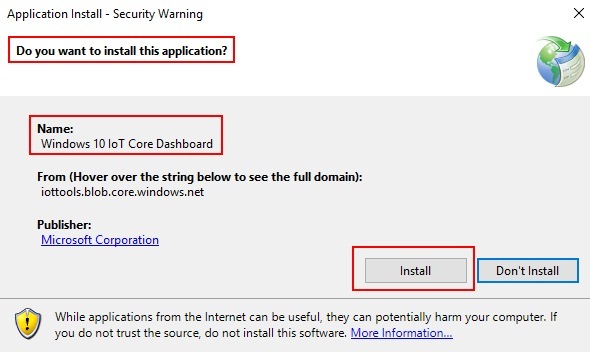 It will start to download the Windows 10 system, and ask for your Insider user id and password. Once you enter that, you will be able to select the version of the ISO which you want to install, and download it to your Raspberry Pi 3. Once the Windows 10 IOT core downloaded to your Raspberry Pi3 you will get this message. Press OK button. 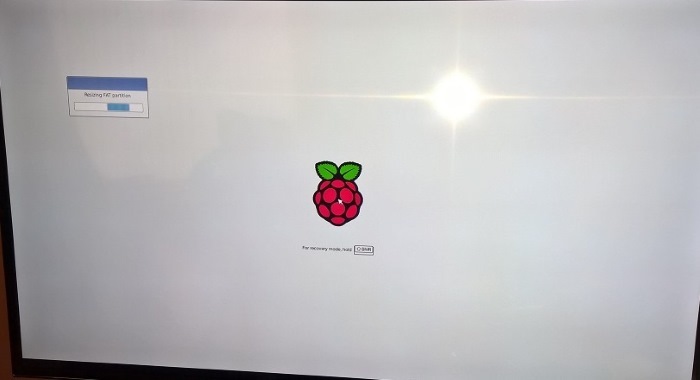 Your Raspberry Pi 3will reboot, and the usual Windows screen appear with a spinner. 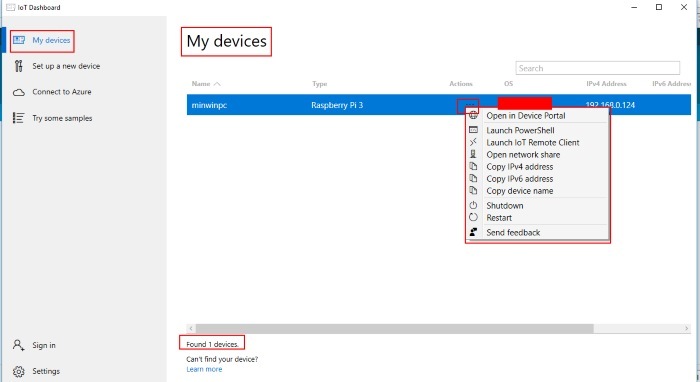 We have learnt how to flash your Raspberry PI 3 Model B board with Windows 10 IoT Core.